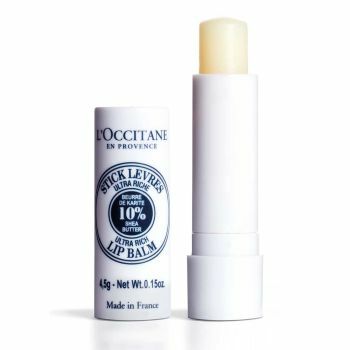 The Shea Ultra Rich Lip Balm helps to repair, nourish and protect dry lips, leaving a supple and soft sensation. This convenient tube format is perfect for your handbag, your car or your bedside table. Shea Butter is an ideal beauty ingredient, used by women in Sub-saharan Africa to help nourish and protect their skin and hair. L’Occitane uses shea butter from Burkina Faso, harvested in a sustainable and fair trade partnership with the women who produce it. Nourishing, protecting and repairing for lips. With shea butter.